Kick off ODD-tober with a new ODD SQUAD special and other Halloween-themed family favorites from PBS KIDS! You are here: Home / Media Reviews / Kick off ODD-tober with a new ODD SQUAD special and other Halloween-themed family favorites from PBS KIDS! PBS KIDS’ “Odd-tober” begins with an all-new ODD SQUAD one-hour special and the return of Halloween-themed family favorites from various series! 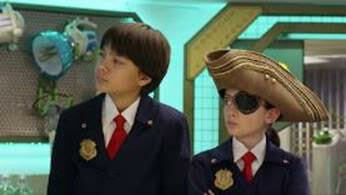 On Monday, October 5, PBS KIDS will premiere “ODD SQUAD: Against the Odds,” which will include five 11-minute stories with Olive, Otto and the rest of the gang as they solve the community’s strange problems. “Odd-tober” will continue on PBS KIDS throughout the week of October 25-31 with the return of family Halloween favorites, including “CURIOUS GEORGE: A Halloween Boo Fest.” Favorite episodes from series such as DANIEL TIGER’S NEIGHBORHOOD, WILD KRATTS, PEG + CAT and DINOSAUR TRAIN will also air throughout the week. Families will be able to play Halloween games and stream the Halloween-themed episodes free on pbskids.org and the PBS KIDS Video App. Check local listings for airdates and times.